Samson Doors are specialist suppliers for the latest front entrance doors for the home from Hormann. Available in Aluminium or Steel in the TOP or ThermoPro range respectively, our wide range of entrance doors designs will make any house a home with some of the highest levels of security and insulation combined with superb styling. 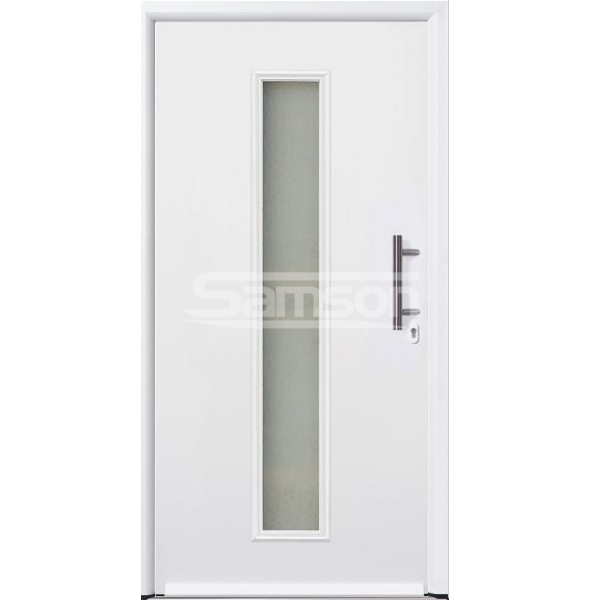 High quality steel and aluminium entrance doors for the home. Top level security and insulation with contemporary and traditional designs available in a choice of paint or laminate colour finishes. Range of side lights and transoms also available.